We are celebrating LA Fashion Week by asking that you join our Stand Up To Cancer fundraising team. We would be honored if you would create your own fundraising page so you can help meet our team's goal. Summary: During LA Fashion Week this Fall, Project Ethos, Avalon Hollywood and French Tuesdays will benefit Stand Up To Cancer to generate funds for cancer research in honor of Breast Cancer Awareness Month. The event will feature fashion shows, live music and art exhibitions from 7pm-10pm. At 10pm, an after party celebrating LA Fashion Week will host an over the top combination of DJs, fashion shows and special guests performances. 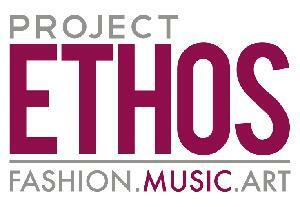 Since 2005, Project Ethos has showcased fashion, music and art to both industry and consumers. Events combining a fashion show, live concert and art exhibition have been held in Los Angeles, San Diego, San Francisco, Portland, Las Vegas, Chicago and Scottsdale, with New York and Miami set to launch this Fall. With over 1,500 fashion designer, musician, and artist participants showcased, Project Ethos and its participants have been featured on CBS, NBC, Huffington Post, HLN, and The Los Angeles Times. Designers have been featured on prominent television programs, placed in retail stores, and dressed celebrities such as Beyonce on the red carpet. Bands have won Grammys and headlined the Super Bowl. Hundreds of original art pieces have been sold.